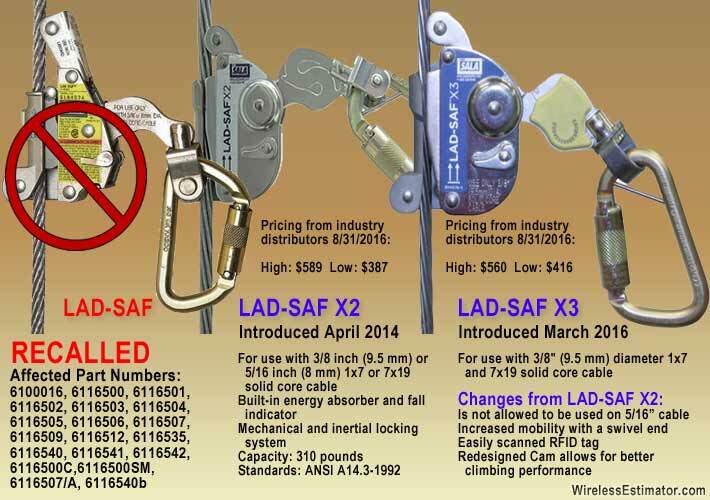 Capital Safety/3M said that it might be months before they were able to provide an X2 or X3 Lad-Saf for the recalled legacy units, and are offering a free twin leg lanyard to assist climbers to tie off 100%. However, most monopoles do not have anchorage points to allow safe climbing without a cable climb. When Capital Safety/3M introduced their new vertical safety cable sleeve last March, the Lad-Saf X3, industry rumors circulated amongst some safety professionals and distributors that the use of legacy Lad-Saf sleeves could have resulted in a few serious injuries and deaths, either through product defects or misuse. But those could have been easily dismissed as anecdotal. In June, a number of industry insiders said that they were aware that Capital Safety/3M was taking those reports seriously. Yesterday morning, the company acknowledged its concern and recalled an undisclosed number of Lad-Saf sleeves. As with most recalls, alternate providers and stocking manufacturers can fill the void for essential products, but Capital Safety/3M’s huge market share has idled a number of crews throughout the nation, according to contractors who contacted Wireless Estimator. Three industry distributors told Wireless Estimator that in wireless construction they believed that Lad-Saf had a market share of sleeves of between 50% and 75%, causing chaos when they were first informed of the recall yesterday morning and had nothing in stock to replace the units. “We were told that it could be as much as four months or more before they would be able to restock us,” said one distributor. Another said that they were given a minimum of 90-days. A spokesperson for 3M informed Wireless Estimator this evening that they would attempt to provide a more accurate date for deliveries to distributors as soon as possible, but would not disclose their market share. Within the first hours following the recall announcement, two distributors said that combined they could have filled orders for over a thousand sleeves if they had them in stock. They also said that they had sold out of other vertical safety climb manufacturers’ sleeves they stocked and those companies were also out of inventory. 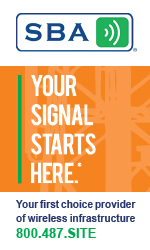 Crown Castle, SBA Communications and other tower owners as well as major development contractors have issued notices that no tower technician will be allowed to climb with the Lad-Safs that are being recalled, but that may be difficult to enforce. One Facebook poster said he didn’t care if they were recalled. He was going to keep his and use it. After receiving many hundreds of immediate requests yesterday to replace their recalled Lad-Saf sleeves, Capital Safety/3M said it was facing a capacity and raw material challenge that was creating long lead times to replace the units at no charge with an X2 or X3 sleeve. 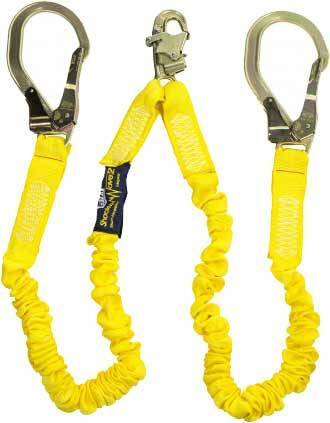 Capital Safety/3M said they would send a free twin leg lanyard such as the one above, which retails at about $250, to provide an interim safeguard. For those individuals or companies requiring an immediate solution, they announced that they would ship a twin leg lanyard free of charge as an interim alternative. Although double hooking will keep climbers tied off 100%, it does create additional fatigue in the course of an oftentimes 12-hour or more workday. More importantly, since a considerable portion of work is on a monopole, there is no other safe way to climb the structure since hooking off to a step bolt is unsafe. When contacting Capital Safety/3M at LADSAFNA@mmm.com , requesters for the free sleeve replacement will be required to provide their company name, shipping address and contact information as well as the quantity and model number of the original Lad-Saf that will be returned and if the requester wants the X2 (P/N 6160030) or X3 (P/N 6160054) version for the new Lad-Saf sleeve. If a twin leg lanyard is required immediately, the quantity and part numbers will be required. For the U.S. market, Capital Safety/3M suggests the #1244412 (steel hook) or the #1246193 (aluminum hook). For the Canadian market the #1246195C (steel hook) or the #1246193C (aluminum hook) are suggested. The National Association of Tower Erectors (NATE) is paying close attention to the recall. “NATE is utilizing our platform and reach as a national organization to educate our membership and the industry at-large on the important information contained in the recent 3m/Capital Safety Lad-Saf sleeve recall notice,” said Executive Director Todd Schlekeway. “It is paramount that the industry responds decisively to this recall notice in order to ensure the safety and health of the elevated workforce,” Schlekeway informed Wireless Estimator. The American Wind Energy Association (AWEA) is equally as concerned and held a lengthy conference call regarding the issue this afternoon.